From Jazz to the World, from the World to Jazz examines jazz as a syncretic music drawing on a variety of musical sources in its creation, and argues that this gives it a degree of plasticity which allows it to continually absorb influences from other vernacular musics. Jazz is in every sense the original world music, shaped by migration, firstly, through the different migrant musical cultures that came together to form jazz; secondly, through internal migration within the USA; and thirdly, by an almost simultaneous migration to Europe and beyond. Musicians from Jelly Roll Morton to the pan-stylistic music of Don Cherry, George Russell, Peter Apfelbaum, Paul Winter, Colin Walcott, Steve Coleman, Kenny Graham, Loose Tubes, the Brotherhood of Breath, Garbarek and many others have drawn on other musical styles to expand the sonic landscape of jazz. The book also looks at how jazz has informed vernacular musics broadly described under the umbrella term ‘world music’ and been informed by it. It suggests that for jazz to develop and expand its audience it must take account of the audience for world music, and that world music is both a marketing category but also a ‘badge of commitment’ for many of its listeners, for whom the perceived value system of world music is understood and articulated by its fans. Finally, the book reviews the contributions by many artists from jazz and world music to pan-stylistic musics that draw upon both in significant measure. From Jazz to the World, from the World to Jazz examines jazz as a syncretic music drawing on a variety of musical sources in its creation, and argues that this gives it a degree of plasticity which allows it to continually absorb influences from other vernacular musics. Jazz is in every sense the original world music, shaped by migration, firstly, through the different migrant musical cultures that came together to form jazz; secondly, through internal migration within the USA; and thirdly, by an almost simultaneous migration to Europe and beyond. Musicians from Jelly Roll Morton to the pan-stylistic music of Don Cherry, George Russell, Peter Apfelbaum, Paul Winter, Colin Walcott, Steve Coleman, Kenny Graham, Loose Tubes, the Brotherhood of Breath, Garbarek and many others have drawn on other musical styles to expand the sonic landscape of jazz. The book also looks at how jazz has informed vernacular musics broadly described under the umbrella term ‘world music’ and been informed by it. It suggests that for jazz to develop and expand its audience it must take account of the audience for world music, and that world music is both a marketing category but also a ‘badge of commitment’ for many of its listeners, for whom the perceived value system of world music is understood and articulated by its fans. Finally, the book reviews the contributions by many artists from jazz and world music to pan-stylistic musics that draw upon both in significant measure. 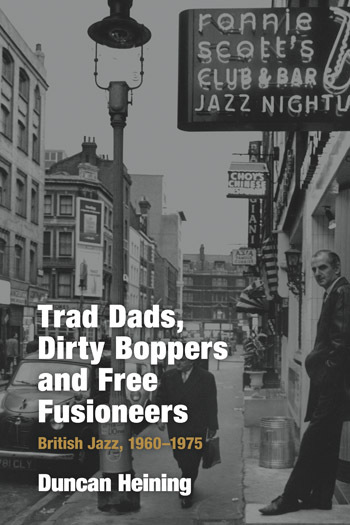 Chapter 1, on jazz as a music of migration, a ‘world music’, to outline what I see as its musical and non-musical values – illustrating this with reference to a number of artists. From Jazz to the World, from the World to Jazz examines jazz as a syncretic music drawing on a variety of musical sources in its creation, and argues that this gives it a degree of plasticity which allows it to continually absorb influences from other vernacular musics. Jazz is in every sense the original world music, shaped by migration, firstly, through the different migrant musical cultures that came together to form jazz; secondly, through internal migration within the USA; and thirdly, by an almost simultaneous migration to Europe and beyond. Musicians from Jelly Roll Morton to the pan-stylistic music of Don Cherry, George Russell, Peter Apfelbaum, Paul Winter, Colin Walcott, Steve Coleman, Kenny Graham, Loose Tubes, the Brotherhood of Breath, Garbarek and many others have drawn on other musical styles to expand the sonic landscape of jazz. The book also looks at how jazz has informed vernacular musics broadly described under the umbrella term ‘world music’ and been informed by it. It suggests that for jazz to develop and expand its audience it must take account of the audience for world music, and that world music is both a marketing category but also a ‘badge of commitment’ for many of its listeners, for whom the perceived value system of world music is understood and articulated by its fans. Finally, the book reviews the contributions by many artists from jazz and world music to pan-stylistic musics that draw upon both in significant measure. Chapter 2, on Don Cherry. An example of world jazz but referencing others who worked with or were influenced by Cherry, including during his long sojourn in Europe. From Jazz to the World, from the World to Jazz examines jazz as a syncretic music drawing on a variety of musical sources in its creation, and argues that this gives it a degree of plasticity which allows it to continually absorb influences from other vernacular musics. Jazz is in every sense the original world music, shaped by migration, firstly, through the different migrant musical cultures that came together to form jazz; secondly, through internal migration within the USA; and thirdly, by an almost simultaneous migration to Europe and beyond. Musicians from Jelly Roll Morton to the pan-stylistic music of Don Cherry, George Russell, Peter Apfelbaum, Paul Winter, Colin Walcott, Steve Coleman, Kenny Graham, Loose Tubes, the Brotherhood of Breath, Garbarek and many others have drawn on other musical styles to expand the sonic landscape of jazz. The book also looks at how jazz has informed vernacular musics broadly described under the umbrella term ‘world music’ and been informed by it. It suggests that for jazz to develop and expand its audience it must take account of the audience for world music, and that world music is both a marketing category but also a ‘badge of commitment’ for many of its listeners, for whom the perceived value system of world music is understood and articulated by its fans. Finally, the book reviews the contributions by many artists from jazz and world music to pan-stylistic musics that draw upon both in significant measure. Chapter 3, on Astor Piazzolla. Examining also his increasing influence on European jazz, as well as his connections with Metheny and Burton. From Jazz to the World, from the World to Jazz examines jazz as a syncretic music drawing on a variety of musical sources in its creation, and argues that this gives it a degree of plasticity which allows it to continually absorb influences from other vernacular musics. Jazz is in every sense the original world music, shaped by migration, firstly, through the different migrant musical cultures that came together to form jazz; secondly, through internal migration within the USA; and thirdly, by an almost simultaneous migration to Europe and beyond. Musicians from Jelly Roll Morton to the pan-stylistic music of Don Cherry, George Russell, Peter Apfelbaum, Paul Winter, Colin Walcott, Steve Coleman, Kenny Graham, Loose Tubes, the Brotherhood of Breath, Garbarek and many others have drawn on other musical styles to expand the sonic landscape of jazz. The book also looks at how jazz has informed vernacular musics broadly described under the umbrella term ‘world music’ and been informed by it. It suggests that for jazz to develop and expand its audience it must take account of the audience for world music, and that world music is both a marketing category but also a ‘badge of commitment’ for many of its listeners, for whom the perceived value system of world music is understood and articulated by its fans. Finally, the book reviews the contributions by many artists from jazz and world music to pan-stylistic musics that draw upon both in significant measure. From Jazz to the World, from the World to Jazz examines jazz as a syncretic music drawing on a variety of musical sources in its creation, and argues that this gives it a degree of plasticity which allows it to continually absorb influences from other vernacular musics. Jazz is in every sense the original world music, shaped by migration, firstly, through the different migrant musical cultures that came together to form jazz; secondly, through internal migration within the USA; and thirdly, by an almost simultaneous migration to Europe and beyond. Musicians from Jelly Roll Morton to the pan-stylistic music of Don Cherry, George Russell, Peter Apfelbaum, Paul Winter, Colin Walcott, Steve Coleman, Kenny Graham, Loose Tubes, the Brotherhood of Breath, Garbarek and many others have drawn on other musical styles to expand the sonic landscape of jazz. The book also looks at how jazz has informed vernacular musics broadly described under the umbrella term ‘world music’ and been informed by it. It suggests that for jazz to develop and expand its audience it must take account of the audience for world music, and that world music is both a marketing category but also a ‘badge of commitment’ for many of its listeners, for whom the perceived value system of world music is understood and articulated by its fans. Finally, the book reviews the contributions by many artists from jazz and world music to pan-stylistic musics that draw upon both in significant measure. The main focus will be on Abdullah Ibrahim and Hugh Masekela but will touch upon the Blue Notes. From Jazz to the World, from the World to Jazz examines jazz as a syncretic music drawing on a variety of musical sources in its creation, and argues that this gives it a degree of plasticity which allows it to continually absorb influences from other vernacular musics. Jazz is in every sense the original world music, shaped by migration, firstly, through the different migrant musical cultures that came together to form jazz; secondly, through internal migration within the USA; and thirdly, by an almost simultaneous migration to Europe and beyond. Musicians from Jelly Roll Morton to the pan-stylistic music of Don Cherry, George Russell, Peter Apfelbaum, Paul Winter, Colin Walcott, Steve Coleman, Kenny Graham, Loose Tubes, the Brotherhood of Breath, Garbarek and many others have drawn on other musical styles to expand the sonic landscape of jazz. The book also looks at how jazz has informed vernacular musics broadly described under the umbrella term ‘world music’ and been informed by it. It suggests that for jazz to develop and expand its audience it must take account of the audience for world music, and that world music is both a marketing category but also a ‘badge of commitment’ for many of its listeners, for whom the perceived value system of world music is understood and articulated by its fans. Finally, the book reviews the contributions by many artists from jazz and world music to pan-stylistic musics that draw upon both in significant measure. Looking at Reinhardt and Grappelli and the tradition of ‘Gypsy jazz’ also considering North African and West African influences and their social and political implications in a French context. From Jazz to the World, from the World to Jazz examines jazz as a syncretic music drawing on a variety of musical sources in its creation, and argues that this gives it a degree of plasticity which allows it to continually absorb influences from other vernacular musics. Jazz is in every sense the original world music, shaped by migration, firstly, through the different migrant musical cultures that came together to form jazz; secondly, through internal migration within the USA; and thirdly, by an almost simultaneous migration to Europe and beyond. Musicians from Jelly Roll Morton to the pan-stylistic music of Don Cherry, George Russell, Peter Apfelbaum, Paul Winter, Colin Walcott, Steve Coleman, Kenny Graham, Loose Tubes, the Brotherhood of Breath, Garbarek and many others have drawn on other musical styles to expand the sonic landscape of jazz. The book also looks at how jazz has informed vernacular musics broadly described under the umbrella term ‘world music’ and been informed by it. It suggests that for jazz to develop and expand its audience it must take account of the audience for world music, and that world music is both a marketing category but also a ‘badge of commitment’ for many of its listeners, for whom the perceived value system of world music is understood and articulated by its fans. Finally, the book reviews the contributions by many artists from jazz and world music to pan-stylistic musics that draw upon both in significant measure. Joe Harriott, John Mayer, Amancio D’Silva, Blue Notes and later Loose Tubes, Annie Whitehead, Courtney Pine, Andy Sheppard, Jazz Jamaica and more. From Jazz to the World, from the World to Jazz examines jazz as a syncretic music drawing on a variety of musical sources in its creation, and argues that this gives it a degree of plasticity which allows it to continually absorb influences from other vernacular musics. Jazz is in every sense the original world music, shaped by migration, firstly, through the different migrant musical cultures that came together to form jazz; secondly, through internal migration within the USA; and thirdly, by an almost simultaneous migration to Europe and beyond. Musicians from Jelly Roll Morton to the pan-stylistic music of Don Cherry, George Russell, Peter Apfelbaum, Paul Winter, Colin Walcott, Steve Coleman, Kenny Graham, Loose Tubes, the Brotherhood of Breath, Garbarek and many others have drawn on other musical styles to expand the sonic landscape of jazz. The book also looks at how jazz has informed vernacular musics broadly described under the umbrella term ‘world music’ and been informed by it. It suggests that for jazz to develop and expand its audience it must take account of the audience for world music, and that world music is both a marketing category but also a ‘badge of commitment’ for many of its listeners, for whom the perceived value system of world music is understood and articulated by its fans. Finally, the book reviews the contributions by many artists from jazz and world music to pan-stylistic musics that draw upon both in significant measure. Local traditions, Italian music and jazz have for obvious geographical reasons always been influenced by musics from North Africa and the Middle East. From Jazz to the World, from the World to Jazz examines jazz as a syncretic music drawing on a variety of musical sources in its creation, and argues that this gives it a degree of plasticity which allows it to continually absorb influences from other vernacular musics. Jazz is in every sense the original world music, shaped by migration, firstly, through the different migrant musical cultures that came together to form jazz; secondly, through internal migration within the USA; and thirdly, by an almost simultaneous migration to Europe and beyond. Musicians from Jelly Roll Morton to the pan-stylistic music of Don Cherry, George Russell, Peter Apfelbaum, Paul Winter, Colin Walcott, Steve Coleman, Kenny Graham, Loose Tubes, the Brotherhood of Breath, Garbarek and many others have drawn on other musical styles to expand the sonic landscape of jazz. The book also looks at how jazz has informed vernacular musics broadly described under the umbrella term ‘world music’ and been informed by it. 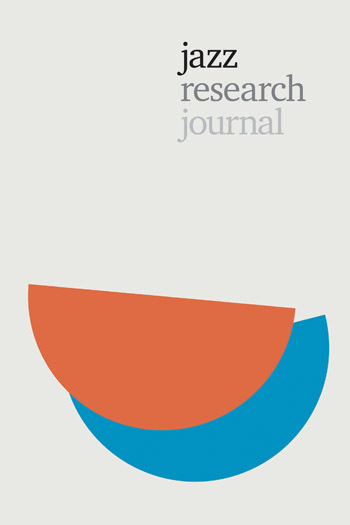 It suggests that for jazz to develop and expand its audience it must take account of the audience for world music, and that world music is both a marketing category but also a ‘badge of commitment’ for many of its listeners, for whom the perceived value system of world music is understood and articulated by its fans. Finally, the book reviews the contributions by many artists from jazz and world music to pan-stylistic musics that draw upon both in significant measure. Colin Walcott, Oregon, Paul Winter Consort, Peter Apfelbaum, Steve Coleman, Don Byron and others.